The realisation of the importance of Earth’s Ozone layer and the severity of Atmospheric Ozone Depletion due to Halocarbon atoms, particularly Chlorine in mid-1980s prompted the search for Environmentally-friendly Refrigerants. Particularly, we were looking for Refrigerants with least ODP and GWP. One of the products found suitable for refrigeration and air-conditioning applications was the family of Pure Hydrocarbons. These were already being used in industry as clean fuel sources being petroleum products from fossils. However, it took a while for this fuel to be used for domestic applications as cooking fuel at homes. Storage in larger quantities presented potential risks. At homes, we have ladies, children and old people staying. 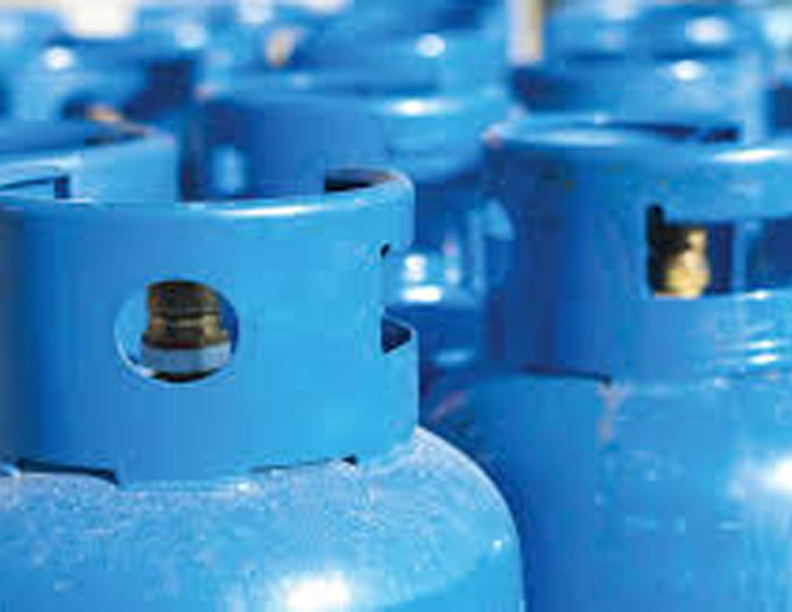 So, Liquefied Petroleum Gas (LPG) consisting of Propane and Butane was introduced at homes as a cooking fuel as an alternative for coal, kerosene and wood only after appropriate safety features were incorporated in the gas as well as in the storage and pipeline systems. Now we cannot imagine life without LPG. It was a quantum leap. There was no looking back. This slowly got evolved into LPG gas supply to homes through pipelines. Many cities have adopted this system with in-built safety features incorporated to make it harmless. The search for alternative refrigerants led to pure hydrocarbons to be used as refrigerants. Hydrocarbon-based refrigerants can be used as an alternative to fluorocarbon refrigerants in some refrigeration and air conditioning applications. R600a and R290 are heavier than air and the concentration will always be highest near the floor. R600a must only be stored and transported in approved containers and must be handled according to existing guidelines. Hydrocarbon refrigerants are fully compatible with nearly all lubricants commonly used^pin refrigeration and air conditioning systems, except for those lubricants which contain silicone and silicates. 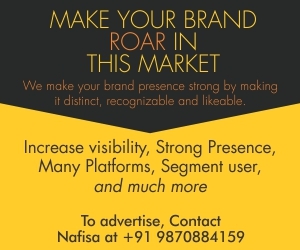 Flammability is a property of a mixture during which a flame is capable of self-propagating for a certain distance. Flammability is defined as its ability of a substance to burn or ignite, causing fire or combustion. 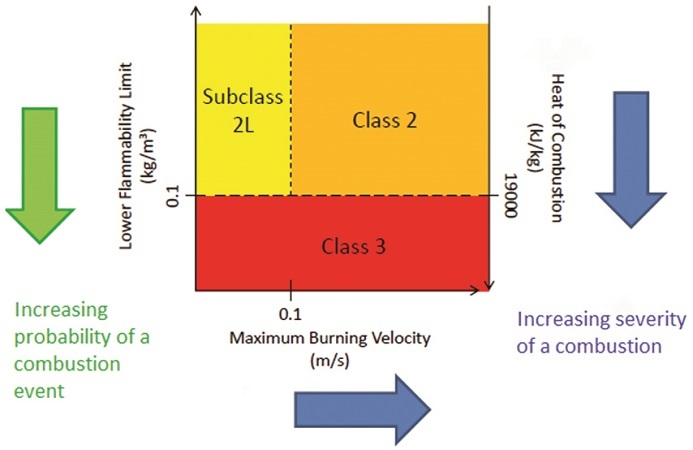 The degree of difficulty required to cause the combustion of a substance is quantified through fire testing and is dependent on a number of parameters mentioned here. Whether a substance is flammable depends upon the higher and lower flammability limits and also the supplied energy for ignition. The consequences of the flammability event depend upon the burning rate, heat discharged and by-products of combustion. Mixtures of refrigerant and air can burn given that the fuel concentration lies inside well-defined lower and limits determined by experimentation stated as flammability limits. 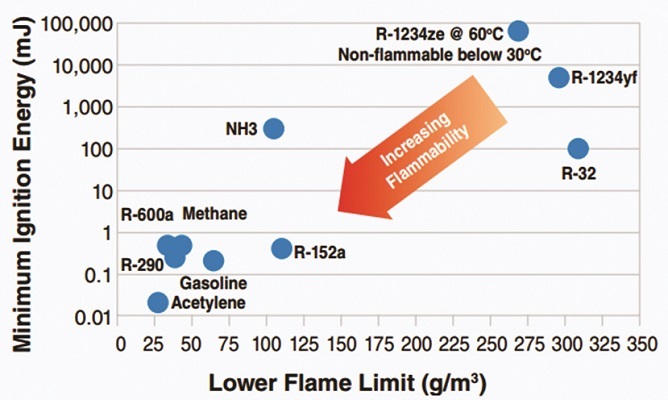 Lower flammability limit (LFL, per cent by volume or g/m3): minimum concentration of the refrigerant that is capable of propagating a flame through a homogeneous mixture of the refrigerant and air under the required test conditions of 23-degree C and 101.3 kPa. At a concentration in air, lower than the LFL, gas mixtures are too weak to burn. Methane gas has LFL of 4.4 per cent. In an atmosphere having less than 4.4 per cent methane, combustion cannot occur even if a source of ignition is present. Upper flammability limit (UFL) is the highest concentration of a gas or a vapour in air capable of producing a flash of fire in presence of an ignition source (arc, flame, heat). Concentrations more than UFL are considered to be “too rich” to burn. Burning velocity is the velocity relative to the unburnt gas (normally in cm/s), at which a laminar flame propagates in a direction normal to the flame front, at the concentration of refrigerant with air giving the maximum velocity. Heat of combustion is defined as the heat evolved from a specified reaction of a substance with Oxygen. Standards offer limitations and suggested practices on the way to properly handle various refrigerants, including flammable ones. ASHRAE standard 34 “Designation and Safety Classification of Refrigerants” categorises refrigerants based on their flammability and toxicity characteristics. It recognises several flammability classes from non-flammable A1 to highly flammable A3, depending on refrigerant’s LFL value, heat of combustion and maximum burning velocity. Standard ISO 817 “Refrigerants – Designation and safety classification” provides a clear and an unambiguous system for assigning designations to refrigerants and its flammability. European Standard EN 378 “Safety and Environmental Requirements for Refrigeration Systems and Heat Pumps” aims to mitigate hazards to persons, property and the environment, caused by refrigerating systems and refrigerants. It thus regulates the use of flammable refrigerants in systems based on system location, occupancy level, system type and refrigerant used. A Current edition of EN378 standard was published in 2008 and does not directly recognise the A2L flammability refrigerants. It is expected that the standards will be updated in the new edition. In different countries the safety level of refrigerants is regulated by ASHRAE Standard 15 “Safety Code for Mechanical Refrigeration” (US) and ISO 5149 “Refrigerating systems and Heat pumps – Safety and environmental requirements” (internationally). On the equipment level, safety is regulated by European standards EN 60335-2-34 and EN 60335-2-40 etc. To be deemed mildly flammable, any substance must burn at a velocity no greater than 10 cm/s. Hydrocarbons burn many times faster compared to Usain Bolt’s world record 100-meter time of 1043 cm/s. It was felt that a more precise flammability index was required. Same was proposed in ISO 817 revision working group (WG) in 1999. This proposal was to extend the relaxed anti-explosion requirements for ammonia, which was already well known as difficult to ignite substance, to all similar or lower flammability refrigerants. The WG concluded using burning rate as an extra category in 2002 with the upper boundary of 10 cm/s. This category was named 2L to differentiate from conventional flammable class 2. ASHRAE34 adopted this concept in 2010, while ISO 817 finally adopted in 2014. In order to confirm safe use of refrigerants with this flammability category and to open up a path for lower GWP refrigerants within the category, specialists on the problem have conducted analysis and development for about ten years. Several risk assessments were conducted. They indicated that 2L refrigerants’ flammability is appropriate for air conditioners and heat pumps when these systems comply with standards for equipment safety like EN 378. It may be seen, that flame of mildly flammable refrigerants R-32 and ammonia does not propagate horizontally, thanks to their low burning velocities. 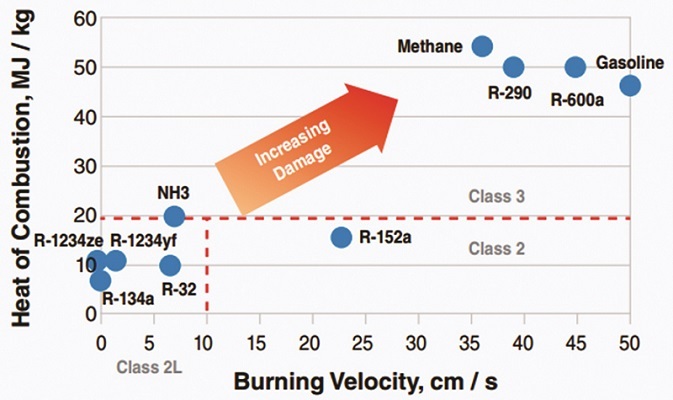 In addition, the range of impact of the combustion of 2L refrigerants is limited, thanks to their low heat of combustion (that is specifically visible for refrigerant R-32). HCs are not connected to ozone layer depletion, and therefore the majority of HC refrigerants have a GWP rating (Global Warming Potential) of 3, compared to R404A chemical refrigerant which has a GWP rating of 3260! The role of HC refrigerant systems in reducing harmful greenhouse gases is twofold: firstly, direct GHG emissions are considerably slashed because of the low GWP rating of HCs. Taking a typical grocery store, for instance, where about 5 to 10 per cent of total refrigerants are vented into the atmosphere, the employment of HCs as a replacement refrigerant cuts annual gas emission by several tonnes. Secondly, a typical HC system with a lower condensing point, positive thermodynamic properties and a superior COP (Coefficient of Performance) act together to optimise energy-efficient operation. Typically, the employment of propane gas (R290) as an air-conditioning replacement for HFC-134a system would result in a minimum GHG saving of 80 per cent. It has been found that the performance of hydrocarbon refrigerants R290, R600a and R1270 compared to R22 is as good or better. It has been found that hydrocarbon refrigerants like R600a and R290 when blended with HFC R134a when used as a replacement to CFC R12 in domestic refrigerators can reduce energy consumption by 4-11 per cent. Hydrocarbon refrigerants have been found to be compatible with the materials in HCFC R22 and can use similar lubricants, but with appropriate safety measures. No one refrigerant has been known as an appropriate alternative for many applications, the blends may be HFC/HFC or HFC/HC. 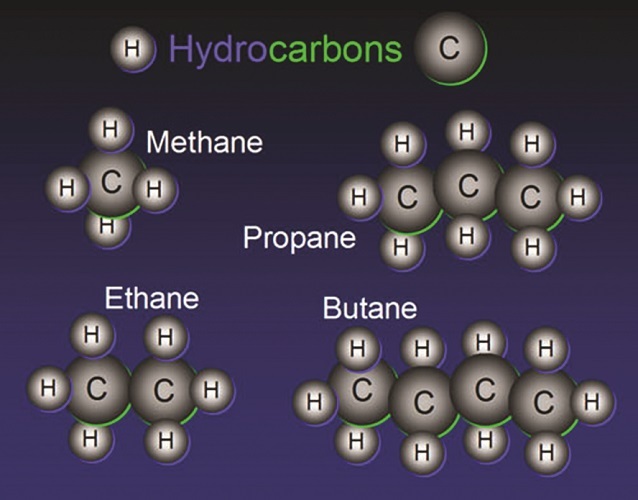 Hydrocarbons could be appropriate in some applications, but not for others, so usage should be based on individual merit. Hydrocarbon refrigerants are flammable and restrictions are placed on their use to ensure safety. All electrical contacts should be sealed or non-sparking. The refrigerant charge in underground applications should not exceed 1.0 kg. Sealed systems up to 0.25 kgs weight refrigerant charge may be located anywhere. Systems with refrigerant charges over 0.25 kgs weight should not be located in places where an abrupt loss of refrigerant can raise the concentration of the space beyond 0.008 kg/m³. Piping for systems with more than 1.5 kgs refrigerant charge should be restricted to the space containing the refrigerant. It is not permitted to convert systems from refrigerants R12 or R134a to R600a, and from refrigerants R22, R502, or R134a to R290 due to intrinsic flammability safety issues as electrical safety has not been tested to existing standards. 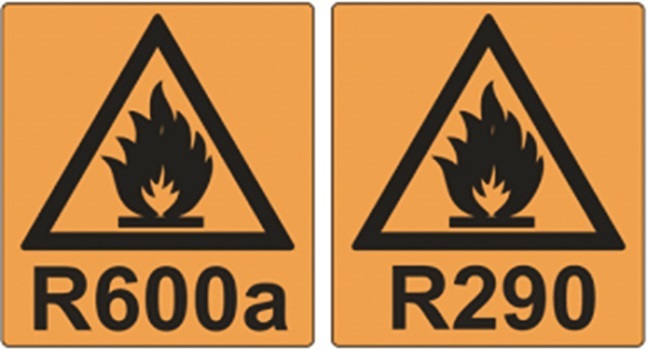 Compressors using flammable refrigerants like R600a and R290 are equipped with a yellow warning label. In Europe, several models of domestic refrigerators are factory-charged with hydrocarbon refrigerant. There are almost 100,000,000 home refrigerators in use around the world containing hydrocarbon refrigerants. Hydrocarbons have been employed in smaller air-con systems and cold-water dispensers. Hydrocarbon refrigerants also are employed in large process refrigeration systems within oil and gas industry. Godrej developed R290 RACs with the collaboration of GIZ and India’s Ministry of Environmental and Forests’ Gas Cell. Since R290 is flammable, Godrej upgraded their producing facility to include further safety alarms and procedures for managing flammable refrigerants. Currently, Godrej has an annual production capability of 180,000 units for R290 RACs at its facility close to Pune. Designing the appliance and manufacturing facility to minimise risks. Limiting the quantity of refrigerant charge within the AC in keeping with international safety standards. Installation of the A/C by factory-trained technicians. Safety procedures and training of service personnel. The R-290 AC uses blast-proof components and system design to ensure that the amount of R-290 charged in an AC is so small that it never causes a flammability hazard in the event of refrigerant leakage. Hydrocarbons are already widespread in domestic refrigerators with at least a 55 per cent market penetration in industrialised countries. Additionally, LPG producers and refineries are often able to supply the refrigerant. 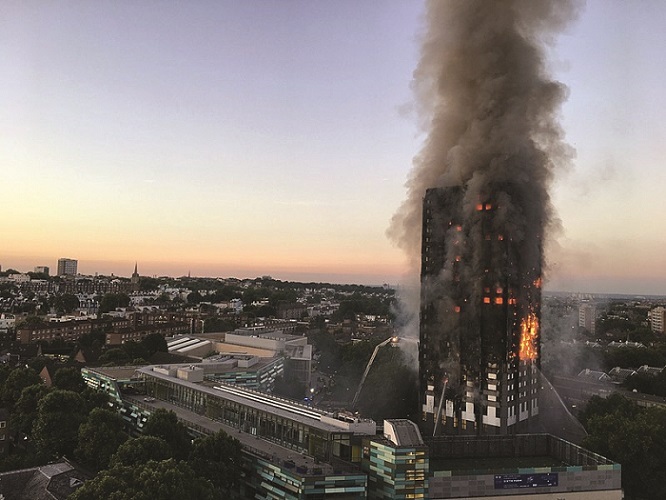 The Grenfell Tower fire occurred on 14 June 2017 at the 24-storey Grenfell Tower block of public housing flats in North Kensington, Royal Borough of Kensington and Chelsea, West London. It caused about 80 deaths and over 70 injuries. Police and fire department believe the fire started accidentally in a fridge-freezer on the fourth floor. The rapid growth of the fire is assumed to have been accelerated by the building’s exterior cladding that is of a standard type in widespread use. A review of building regulations and fire safety by an independent body has been launched. Emergency services received the primary report of the fire at 00:54. It burned for almost sixty hours until it was finally extinguished. About 250 firefighters and 70 fire engines from all over London were involved in efforts to control the fire. Over one hundred London Ambulance Service crew on at least twenty ambulances attended, joined by the specialist Hazardous Area Response Team. London’s Air Ambulance sent groups of HEMS doctors and paramedics by road in support. Firefighters rescued 65 people. It was plausible that the building’s structure may contain a fire within one flat, however in this case the fire was spreading speedily via the building’s exterior. It is to be noted that the fridge where the fire started was using R 600 (n-Butane) as refrigerant. However, it is not confirmed if leaking refrigerant was the reason behind the fire.